Cultured cells complement animals as experimental and test subjects in basic and applied toxicology. Their use presents obvious advantages as well as disadvantages, which in both instances are ascribable to their uniformity and simplicity relative to experimental animals. Commonly used animal cells are available from central repositories, such as the American Type Culture Collection and the Camden Repository (NIGMS Human Mutant Cell Repository). They can be established in culture relatively quickly and require little in the way of space and instrumentation for maintenance and use. Commercial sources provide prepared growth media and sera or growth factors. 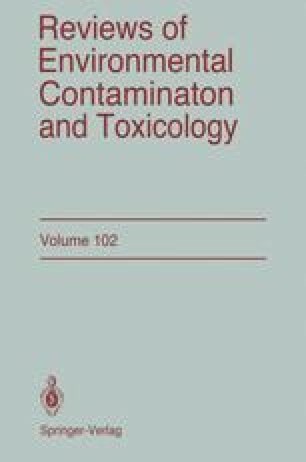 Once established in culture, they may be exposed to well-defined and known concentrations of toxic agents and can be as readily removed from such exposure or switched to another chemical environment or growth state. A large number of replicates are easily accommodated. Ease of manipulation and exact definition of exposure thus represent big advantages. The time and cost incurred relative to that associated with animal experimentation are much less. Also, the effects of a toxicant may be ascribed to direct action, as the opportunities for indirect effects due to altered neurological, hormonal, or immune functions do not exist.